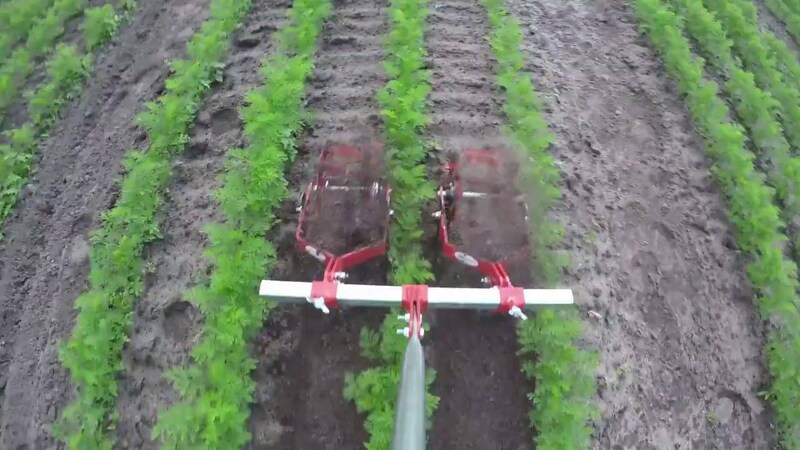 A highly effective and efficient tool for quickly cultivating pathways and spaces between rows of crops in a bed. Most effective when used at a fast walking pace, this French made tool combines the undercutting action of a stirrup hoe for larger, established weeds with a light soil disturbance generated by the wheel that sifts out smaller weeds from thread stage up to 4", leaving them to dessicate on the soil surface. Available in three sizes: 5" and 7" wide models for use in between multiple crop rows in a bed and an 11" wide model best suited for footpaths.